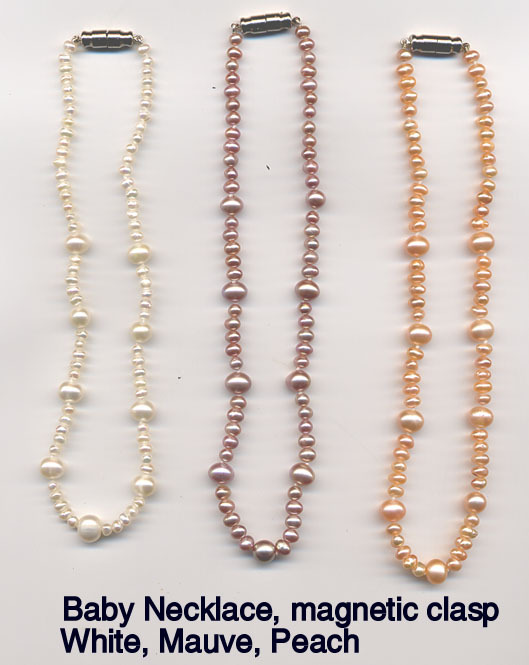 The perfect pearls for little girls! The Fox Lane baby necklace is 12.5 inches long and features small seed pearls accented by seven 6mm freshwater pearls with a magnetic clasp. It's knotted on each side of the big pearls. It fits little girls from infancy up to about age 8. The magnetic clasp enables little ones to put it on and take it off themselves! It comes packaged in a colorful Chinese silky pouch for safe storage. Available in white pearls. GREAT gift idea!